It's Rider Nation in Oaktown! He's even got a skull and crossbones on his t-shirt. SF used to have a freeway next to its Embarcadero, too. 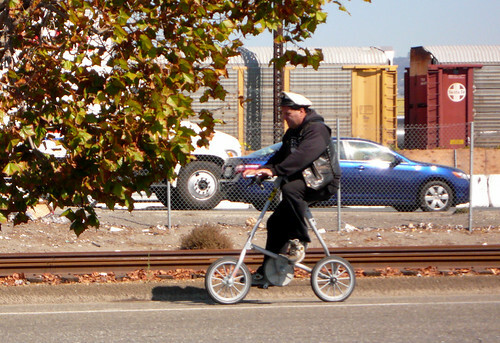 Now I wonder if the 880 was torn down, and Oakland was given back its shoreline, if more pirates would appear. 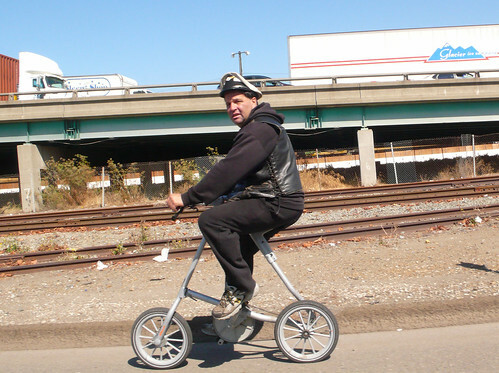 There's something about looking "tough" on a Strida that just doesn't compute. 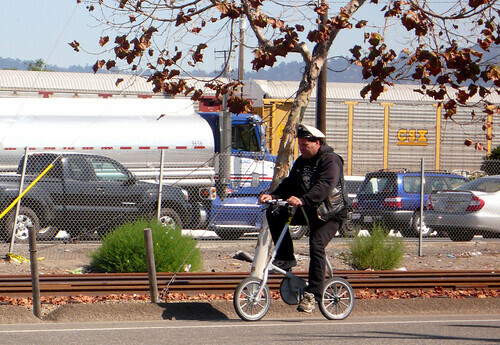 Is he on his way to rumble with a granny on a Brompton? That is all kinds of awesome. he is so rad. love the leather vest and of course the bike!